The 5 Cities Swim School was founded in 1984 by Jeffery Purchin. Jeff started working with children in and out of the water in 1975. He started his own swim school teaching children at their home pools in 1979 in Southern California. After receiving his Bachelors degree at San Diego State University in 1981, Jeff continued teaching and working with children. In October of 1984 Jeff started the 5 Cities swim school by renting pool time at the Arroyo Grande Methodist camp. 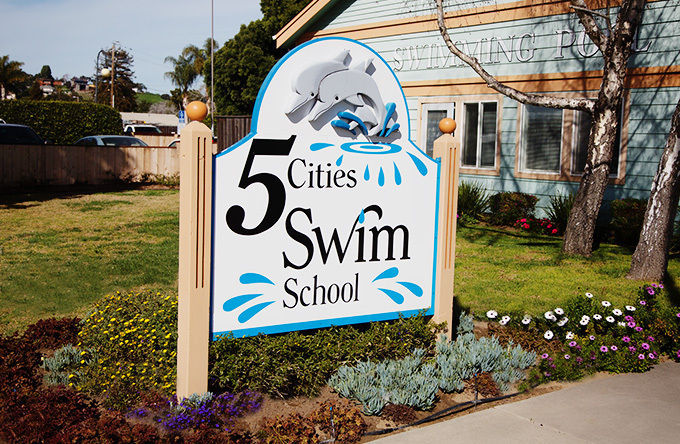 After ten years of strong growth, the 5 Cities Swim School out grew of the camp pool and Jeff and Melissa (Jeff’s wife) purchased property in the village of Arroyo Grande. Jeff was able to accomplish his lifelong dream of building and owning his own facility. The indoor pool which is located at 425 Traffic Way in Arroyo Grande opened in October of 1995. The Swim School teaching staff has taught thousands of children on the central coast. Their main philosophy has always made the swim club a great success–Small classes, Warm Water (90 Degrees) and continued education on updating the staff on the latest and greatest techniques in swimming Lessons. 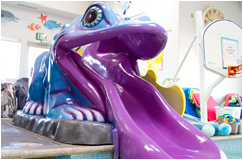 The 5 Cities Swim School offers other great programs such as Adult and Senior Water Exercise Classes, Lap and Recreational Swimming, Home School PE Classes, Infant & Toddler Swim Classes and the pool is also available to rent for parties. Centrally Located in Arroyo Grande!